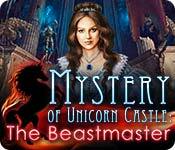 Mystery of Unicorn Castle: The Beastmaster is rated 3.8 out of 5 by 19. Rated 5 out of 5 by alphafem from A VERY GOOD GAME! I would have passed looking into this game based on the title, but it was listed over at the left under "Current Favorite" by a reviewer when I was checking out another game. (I have found some of the best games that way!) If it's good enough for someone to list, I'll give it a go. Usually glad I did. It started out kind of slow, but just kept getting better and better, with a surprise around every corner. Not the least of which were the "Kharmic Choices" you were asked to make at times. You could either be nice and helpful, or rude and aloof. I'm going to turn right around and play this again (I rarely play the same game twice), but this time opt for rude..just to see the difference. Others have done a fine job describing the Storyline, so I won't take up your time by re-hashing it. The HOP's were well done and creative. Some items were smallish for these eyes of mine, and I had to use the hint button more than once. Some had a touch of whimsy. The mini-games were in a range of challenge. Most were doable, but I had to finally skip the chessboard one. There were quite a few game related new puzzles, that were awesome. Quite fun. Am I glad I bought it? YES! Will I play it again? YES! Even by 2017 standards, it is a very good game. Try it! I really hope you enjoy it as much as I did! Rated 5 out of 5 by pcpat923 from CANNOT JUDGE BY DEMO! WISH I BOUGHT THE CE! *CRY* One of those games that doesn't seem excellent within the demo time frame. However, much to my surprise and happy amazement, is a wow factor once play is continued. I settled for the standard and wish to trade it in for the Collector's Edition. Is that possible? There's actually challenge, good puzzles and the hidden objects were fun, much like the older games were at one time. They did not interfere with the game, no, they added to the game. Yada-yada-yada. Story is abduction for evil purposes, but who notices when the entertainment factor is far greater. It's not here's evil, here's good--with a series of boredom to conquer evil. Atmosphere, artwork, music, all superbly excellent. Loved, loved, loved the game! Thanks so much developers! Job well done! Enjoy! Happy 4th y'all. Rated 5 out of 5 by smilingsun72 from This game is a must for a great challenge. The story kept my interest, the puzzles gave me a great challenge and the dialogue was not drawn out. 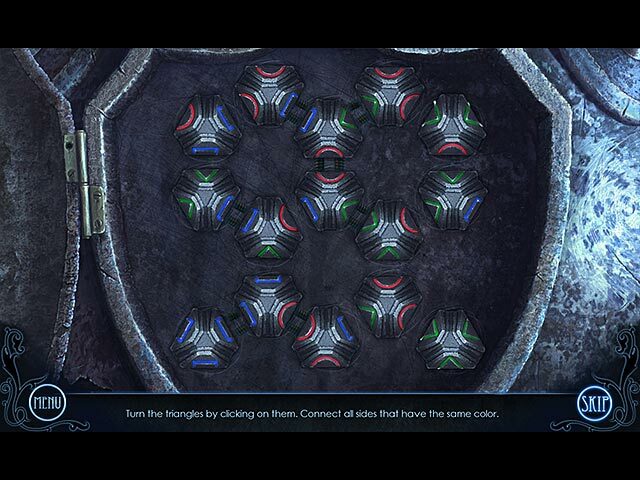 Excellent hidden, puzzle game. Rated 5 out of 5 by bwake47 from A Must Try !! If you haven't at least tried this game, you should. I enjoyed it quite a bit. I liked that it had HOS that were like the games back when I first started playing HOGS. I enjoy the newer HOS with the multi-level play, but also still enjoy the old fashioned HOS as well. 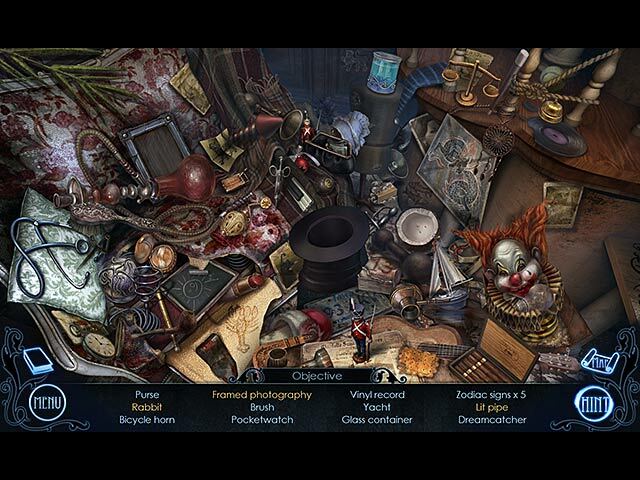 After your into the game, you start collecting several objects in your inventory and visiting several locations. The map is a great help in showing you what areas still have objectives and HOS. The hint button will continue guiding you from one location to another until you reach the location where you need to be. It will then point you to the area of attention. So I never really felt lost and wondering what to do next (which I find isn't always the case). So, if you haven't yet tried this game don't miss out on a game you also might really enjoy. Rated 5 out of 5 by tutortime from I really enjoyed playing this game. The game was really long and the story line was interesting. The map was helpful to travel back and forth between locations. The game is a bit on the darker side so colors were not that bright. This made finding HO a bit challenging. All in all, I enjoyed playing the game. Rated 5 out of 5 by Plientje from fantastic eery creepy game! What a great game. Graphics are absolutely great and immediately set the mood for this game. A lot of nice things in this game that are new and different, you have to make choices that influence the game play, and at least play the game twice before you know all the twists and turns. Very cool. The storyline is very good and pulls you right in from the start. Good music too that enhances the creepy feel of the game. HOS and puzzles are very good fun. The game is long, I played abour 6-7 hours and loved every second of it! I'm sure you will too if you like the scary games! Rated 5 out of 5 by pennmom36 from Unicorns vs. Giant Rats Don't let the title fool ya, plenty of dark forces in this game of good vs. evil. As you search for Sophie within the dark and mysterious wall of Unicorn Castle, you will be given Karmic Choices which will affect the outcome of the game at some point. You will get this opportunity as you speak to the spirits of the castle, do you help these restless spirits or shrug your shoulders and tell them you're too busy? You will also get to choose how you react towards scorpions and piranhas, do you take the gentle approach or squash those ugly creatures? (I chose the opposite from CE to see the difference!) Another cool feature this game has is with the hint button, if you use the hint button, you will need to catch a plasma ball when it appears in order to use another hint. The hidden object scenes are interactive list finds, you find a pan of water, put the pan on the burner, find an egg, place the egg into the pan to get a boiled egg! If you randomly click on a HOS, magic ruins will appear that require you to trace the symbol to unlock the scene again. There are a lot of mini games, none of which are difficult such as placing the correct number of wires leading to light bulbs in order to light them up. Sit back and relax, choose a side, good/evil moral/sinful/ right/wrong unicorn/rats and enjoy! 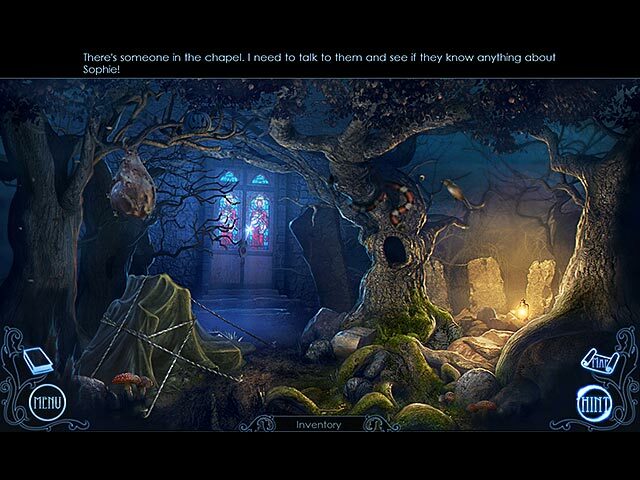 Explore the Mystery Unicorn Castle and save Sophie from the Beastmaster in this exciting HOPA game!